It’s here! The New Paths Compendium (Expanded Hardcover + PDF) is a big beautiful book of new player options for Pathfinder. Shadows are falling across the land: monstrous things stir in the depths, schemers spin their plots in the towers of the powerful, and unholy threats rise from the grave to menace the living. It’s an age of terrors and wonders… and heroes! 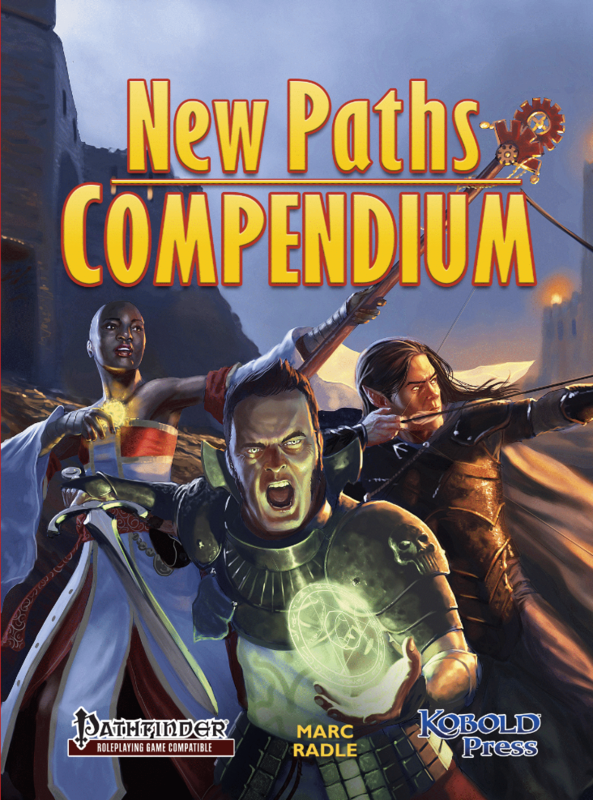 This expanded, hardcover edition of the New Paths Compendium gives you all-new options to create your new favorite character. 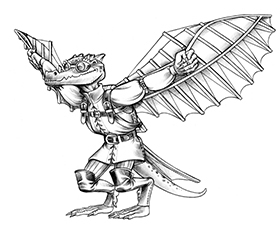 You’ll find 12 new and expanded Pathfinder Roleplaying Game classes from level 1 through 20—plus feats, spells, archetypes, and resources to build and play a character to challenge anything the GM throws at it! There’s a big world of adventure and peril out there—make a hero that it won’t soon forget!